Sometimes, Easter eggs are a little too hard to find. That just might be the case for this previously undiscovered Metroid Prime Easter egg hidden in the original WiiU version of Donkey Kong: Tropical Freeze. This is so well-hidden, it took four years for the secret to come to light — and you can check it out on both versions of the game. Yep, it’s in the Nintendo Switch version too. Retro Studios, the developers that created Donkey Kong: Tropical Freeze were also the masterminds behind the Metroid Prime series on Gamecube and Wii. It’s only natural that a Metroid appear somewhere eventually, right? @ShaneMarchis on Twitter was the first to discover the Easter egg, and it’s a pretty tricky one to find. Learn all about it in the guide below. 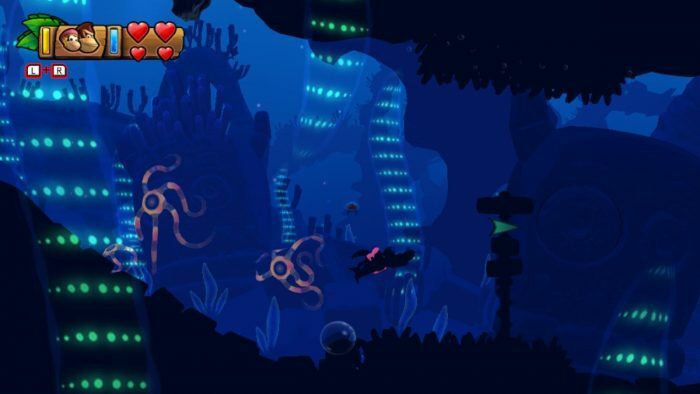 To see the Metroid, you’ll need to access Level 4-3: Amiss Abyss. After the first checkpoint, continue through the level until you reach a brightly lit section of the level. From there, leave the area then backtrack — you’ll have to take a hit — and then look in the far, far background. A Metroid will float up and appear in the distance. Metroids and Retro Studios go together well — Retro developed Metroid Prime for the Gamecube, and after that massive critical success, went on to make two sequels. Retro Studios has been busy making the last two Donkey Kong games on Wii and WiiU. Metroid Prime 4 was announced during E3 2017, but we haven’t heard much more about that game. Not yet, anyway.